Welcome to Elegant Hotels Rewards Programme. Isn't it about time you traded in that office chair for one that just sits on the beach all day? Or those long days on the clock for even longer ones in the surf and sun? Whether in pursuit of adventure, romance or a once-in-a-lifetime family experience, there is an Elegant Hotels resort for every occasion. 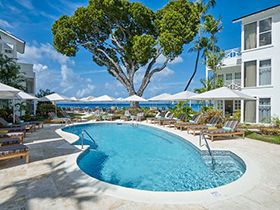 Earn yourself resort points or cash rewards for every booking you make to any of our 9 exclusive properties in Barbados, St Lucia and Antigua. · One point earns one night stay at an Elegant Hotels EP hotel (The House, Colony Club, Tamarind, Treasure Beach, The Landings, Hodges Bay) based on double occupancy. 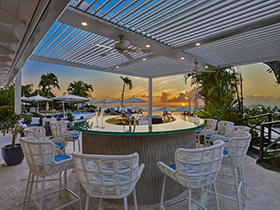 · Two points earns one night stay at an Elegant Hotels Premium All-Inclusive hotel (Crystal Cove, Turtle Beach, Waves) based on double occupancy. · Redeem for cash ($20 per booking) incentives as of your 15th annual booking (up to $750 annually) or continue to add room nights. 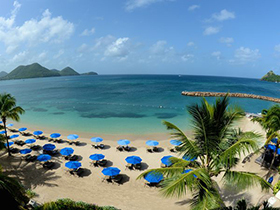 We would love for you to experience our resorts please contact reservations at 1-888-996-9947 and make sure to tell you are a Travel Agent! Must have valid IATA card, space is subject to avail.